A frequent question by our physician clients at the contracting stage is, “Is this enforceable.” In most instances, both parties should avoid as much as possible any scenario where that question would need to be answered because the only way to answer it is through litigation and a decision by a judge hearing the case. Such litigation, unlike most litigation, will involve an employer’s request, by a motion typically filed with the lawsuit, for temporary and preliminary injunctive relief, seeking to bar the former employee from continuing in some employment or other undertaking that allegedly violates one or more restrictive covenants in the employment agreement. This type of action often accelerates the litigation significantly, resulting in considerable expense and risks to both sides. For the employer, the business risks include an adverse decision that may call into question the validity of many other similar contractual provisions contained in agreements with employed physicians. For the physician, the risks include losing a new employment opportunity, either because of an adverse court decision or the angst of the new employer about being embroiled in a dispute. 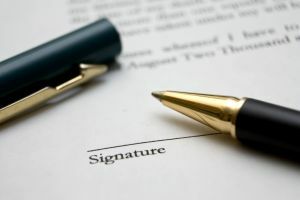 Given these realities, most of the time, a dispute over a restrictive covenant in a physician employment agreement will not make it to court and, even if it does, rarely will the litigation be resolved by a decision on the merits (as opposed to a negotiated settlement). Nevertheless, whether a restrictive covenant is “enforceable” is far from immaterial. To give “enforceability” proper consideration, each party should consider having its/his/her lawyer review the restrictive covenant(s) to determine if the contractual provisions and underlying factual details, taken as a whole, support the conclusion that the restraints on the physician’s ability to work are truly reasonable. To evaluate reasonableness of the restraint on trade, Georgia law’s traditional factors are the duration of the restrictions, total geographical reach of the restrictions, breadth of proscribed activity and whether public policy would be served or disserved by enforcement of the provision. The type of contract in which the restrictive covenant exists is often considered by the Court. The Court’s discretion is the paramount factor. Also, as a practical matter, which judge the parties draw when suit is filed and how he or she views the presentation of evidence and counsel’s arguments will, obviously, factor heavily into the outcome. Moreover, in Georgia and other “blue pencil” states (where the judge is authorized to essentially modify the contract to conform to what the judge determines is a reasonable restraint on trade), the Court’s view of what is reasonable and what is not may actually result in changes to the contract that conform to the Court’s view. If you have questions about this blog post, feel free to contact us at our Atlanta or Augusta office or by email to info@hamillittle.com.